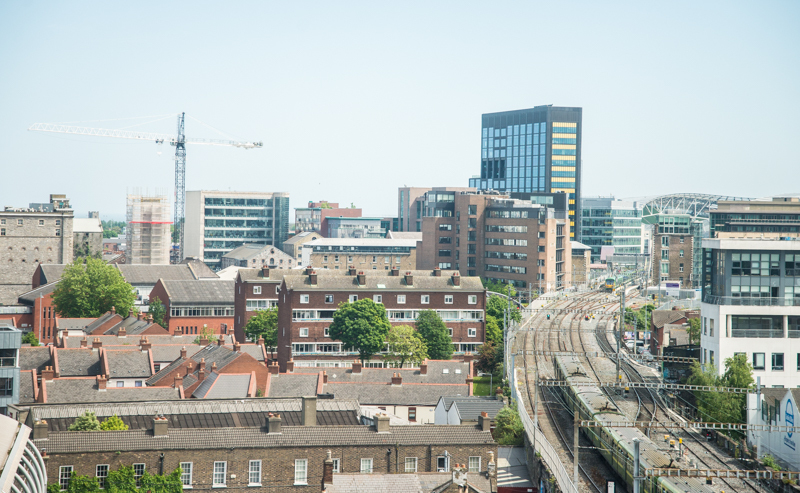 Budget 2019 fell short of what is needed to alleviate the housing crisis, writes Darragh O'Brien. A safe and secure roof over your head is the cornerstone of a decent life. It’s the fulcrum where we start and end our day’s work, a sanctuary from the rough and tumble of daily life, the place where we rear our children and take our rest. However, for so many that basic building block of a decent life is beyond their grasp. Across the social, rental and private sectors we are facing a national crisis. Its most visible effect is the plight of homelessness that scars our towns and cities. But there are also hidden ramifications: couples crammed into parents houses and students sleeping on couches or taking long journeys struggling to keep up their college work. The social cost is also very real. Extracurricular activities, the things we do that make life enjoyable, fall by the wayside when rents or long commutes soak up all our time and money. This wasn’t always the case and it doesn’t have to be in the future. Not so long ago, an ordinary worker could afford to buy their own home and students didn’t have to worry about finding a place to rent. We need to re-discover that ambition, and that means getting the state back involved at the heart of housing. I want to briefly outline a few steps that should be taken across social, rental and affordable housing. When it comes to social housing, the state needs to get back building on the same kind of scale that defined the ambition of the 1930s. Back then, with a population of less than three million people we built 8,200 units during the worst recession the world has seen. We only managed less than half of that last year despite a surging population of over 4.7 million. Budget 2019 increased capital funding to €1.25 billion. This needs further advances to resolve homelessness and social housing waiting lists. I believe in home ownership. Owning your own place, settling into a community and being able to pass something onto your children is a fair aspiration for every worker. That’s why Fianna Fáil fought for an affordable housing scheme in budget 2019. This is a start and we will work to ramp this up and deliver genuinely affordable homes for ordinary income workers. In the rental sector, we badly need to strengthen the Residential Tenancies Board’s capacity to investigate breaches in the rent pressure zones. Ordinary landlords need to be retained in the sector. This may seem counterintuitive at a time when rents are soaring to unprecedented heights. However, many landlords are selling removing badly needed units from the rental market making it even harder to get somewhere to stay. A national deposit scheme should be set up in line with best international practice. This will avoid the row at the end of the year when landlords argue over giving back a deposit. A key need is a cost rental scheme whereby voluntary bodies build and rent out units without a profit margin, a practice common in Vienna. This would provide genuinely affordable rents for students and workers. Fine Gael announced this back in 2015 but has yet to put in place a single brick. This must be prioritised. Of course it’s easy to make announcements and an entirely different matter to implement them. More announcements have been made than social homes built in several counties. What’s needed now is a fresh focus on delivery. We have worked to reduce red tape between the local authorities and the department. The new Land Development Agency cannot just be another stunt. In the long term, we need a far more radical approach to how we manage land in the country. Our population is growing and our cities bursting at the seams. We cannot be afraid to take a far more aggressive approach to compulsory purchase of property and land for use in housing. This is the kind of political ambition that is needed to resolve the housing crisis. Budget 2019 made some progress on these issue but still falls far short of the sweeping changes we need. My focus as housing spokesperson is to hold the government to account and put forward real solutions. If in the teeth of the great recession we could clear the slums of Dublin, we can transform housing today. It’s easy to be cynical in the face of constant announcements but instead we need a renewed commitment to tackling problems head on. We need fresh energy and ambition on these issues. If we don’t undertake this change, we will fail an entire generation who sees the basic right to a secure home fade further and further away. Darragh O’Brien is a TD for Dublin-Fingal and is the Fianna Fáil spokesperson on housing, planning and local government.